To increase hydroxyl content in lignin, demethylation of enzymatic hydrolysis lignin (DML) was conducted using 1-dodecanethiol as nucleophilic reagent and sodium methoxide as catalyst in this work. 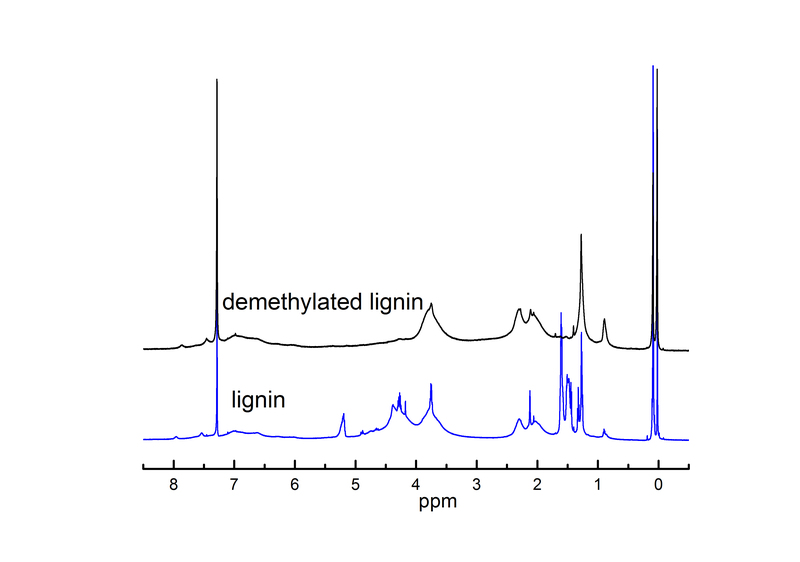 Under alkaline conditions, the demethylated lignin–epoxy resin (DML-EP) was synthesized by demethylated lignin reacted with epichlorohydrin (ECH). The optimum conditions for the synthesis of DML-EP were: 80 °C, 2.5 h, molar ratio of ECH and NaOH to phenolic hydroxyl of 7.5 and 1.2, respectively. FTIR spectrum showed the epoxy group appeared in the product. Then, the lignin-based epoxy composites were produced by cast molding method. Tensile strength test reflects that DML-EP-reinforced epoxy composites have an obvious improvement in tensile strength and elongation of about 27 and 34% compared to the pure epoxy resin with 5% content. Scanning electron microscopy images showed the fractured surface of DML-EP/epoxy composites was rough. Rheological analysis showed that the cured DML-EP/E-51 epoxy resin composites had better elasticity and bonding effect. TGA experiment showed the thermal stability of DML-EP/epoxy composites was also improved. 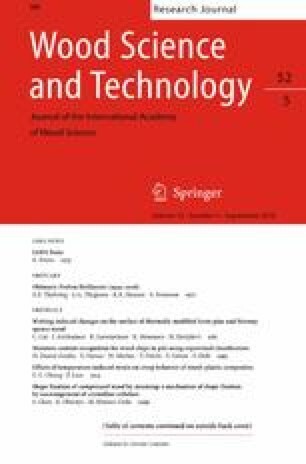 Non-isothermal method was used to analyze the curing kinetics of E-51 resin and DML-EP/E-51 composites, and the curing apparent activation energy was calculated using the Kissinger and Ozawa methods. The online version of this article ( https://doi.org/10.1007/s00226-018-1024-z) contains supplementary material, which is available to authorized users. This study was supported by the National Natural Science Foundation of China (No. 31200451). And we also thank Advanced Analysis and Testing Center, Nanjing Forestry University, for SEM characterization.